In Los Angeles! After five extremely eventful seasons in Jacksonville, Blake Bortles will be a Ram. He’s reportedly finalizing a one-year deal to be L.A.’s backup. That means that one year after opening the season as defending AFC runners-up, Bortles will start this year with the defending NFC champs. 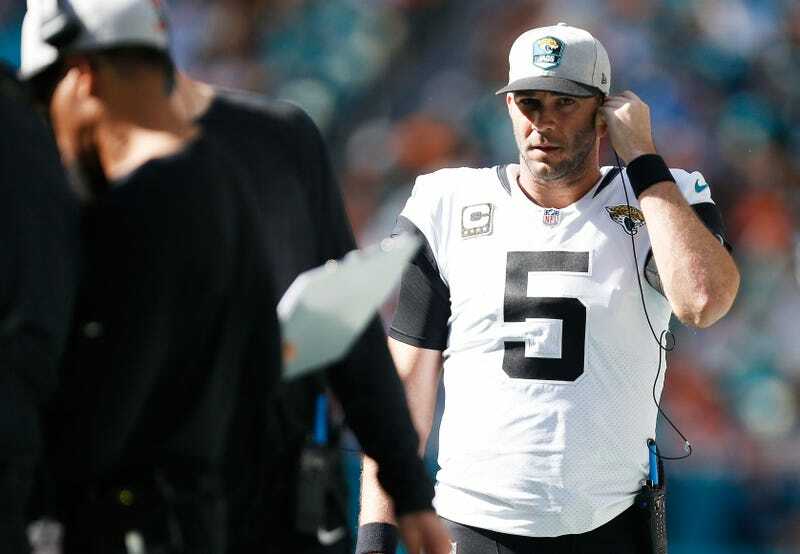 Does this make Blake Bortles the winningest quarterback in recent memory? I think reasonable people would agree that yes, it does. The Rams are a good situation for Bortles, or really for any quarterback: A well-rounded, fast-moving, high-powered offense where Sean McVay calls the shots and assumes a lot of the decision-making, leaving the QB with the lone job of executing. While Bortles has certainly had his struggles with that—and while the Rams certainly and desperately hope Jared Goff remains healthy—Bortles is probably an upgrade over previous backup Sean Mannion, who had appeared in 10 games over four seasons for the Rams. Bortles was drafted third overall in 2014, and never became the signal-caller the Jaguars hoped for. At his absolute best, in a 2017 second-half hot streak, he approximated a competent game manager. That earned him a three-year extension, but he so regressed in 2018 that he lost playing time to Cody Kessler, and the Jags cut him with money still left on his deal after signing Nick Foles. Jacksonville will pay Bortles $6.5 million this year, which likely means the Rams are getting him on the cheap. Last month, Bortles put his Jacksonville beach house—just a 10-minute drive from Lemon Bar!—up for sale. If anyone can recommend a good beach bar in L.A., please let him know.